Animal testing of cosmetics and toiletries doesn't happen in Australia, yet sadly many big-name brands such as Procter & Gamble, Colgate-Palmolive and L'Oreal still fund painful and often lethal tests on animals in other countries before sending their products down under. Choosing non animal-tested products is the key to ending this cruel practice. Animals are routinely poisoned, burnt and killed in the attempt to measure the toxicity of the chemicals that make up cosmetics, cleaning products, drugs, pesticides, foods and even packing materials. Testing companies expose animals to chemicals that may cause painful eye and skin irritation, developmental abnormalities, cancer and death. The pain from such tests can be excruciating, yet animals are typically not given pain relief, as scientists often fear that anaesthetics could affect the toxicity of the chemicals being tested. As a result, animals are often left to languish in pain. You are the person to sign this pledge! , you've done an amazing thing by speaking up for animals today — but with your help we can achieve even more. Please consider making a donation right now, or supporting the campaign. 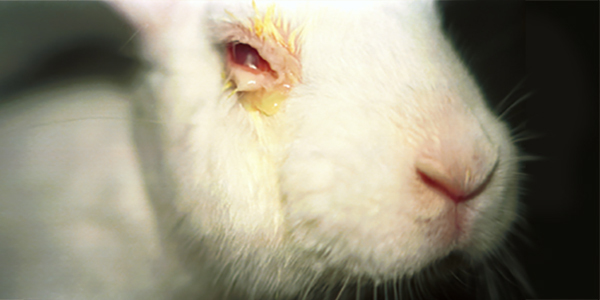 As a consumer: do not buy cosmetics or toiletries that have been tested on animals, or have animal-based ingredients. Choose Cruelty Free have a great list of cruelty-free products to help you shop kindly. As a donor: if you wish to donate to a charity, ensure it is not one that supports the use of animals in research. See the list of charities which have adopted a 'no animal testing' policy. As a student: advise your teacher and/or your school/institution that you will not partake in the use of animals in classes, and encourage them to adopt non-animal alternatives in their teaching. Visit Interniche — a great organisation dedicated to the adoption of humane education techniques, and including some great resources. Also download the free Learning Without Killing: A Guide to Conscientious Objection mini-book. As a community member: educate yourself about the ethical and scientific aspects of animal use in research and teaching, and then ensure you let our elected leaders know of your views. For further information on these issues visit the Humane Research Australia website. Learn more about animal testing. Your financial support is needed to support Animals Australia’s ongoing work to protect the most vulnerable and abused animals in our society. Our campaigns are funded entirely by public donations. Please give generously to help put an end to animal cruelty.